Shot live on location at the Van Andel Arena in Grad Rapids, Michigan April 27th, 2005; Mötley Crüe's Carnival of Sins is the live concert DVD of their sold out Red, White & Crüe world wide tour. Featuring their greatest hits, as well as new songs, Carnival of Sins is an unprecedented 'all access' look at the band with behind the scenes footage and bonus material that will blow your mind. 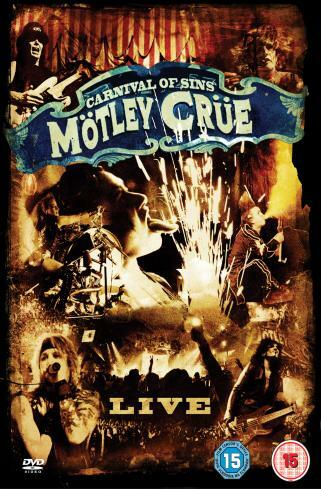 Mötley Crüe delivers the concert that Rock 'N' Roll has been waiting for!